These Sign Supplies Are Available by the Thousands in Our Quick-Ship Warehouse! Order Now For Fast Delivery! 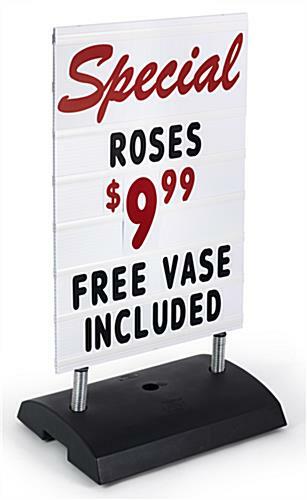 These Moveable Sign Supplies For Indoor/Outdoor Use Are Near Indestructible! With outside signage like these sign supplies, you are able to modify your communication in moments. 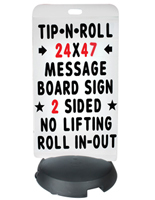 Change a daily special to the nightly menu in a flash with these moveable sign supplies. Merely slide the letters in and out of these pavement letter boards. Changing the content on your pavement springer signage has never been simpler! 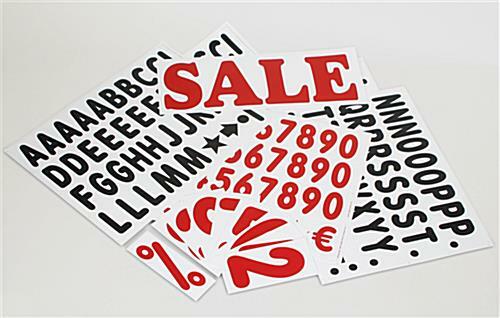 These professional sign supplies in stock are a great deal for your business! 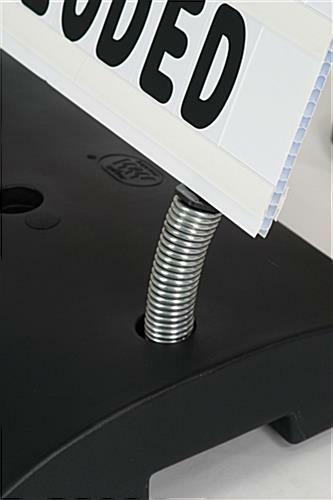 Our sign supplies are exceedingly simple to utilize and an extremely flexible piece of merchandise. Use it inside or display it outside because the climate will not affect it. These durable sign supplies with adjustable letters are secure in rain and winds up to about 20 mph. The solid composition of these sign supplies make it almost indestructible. With these sign supplies, the signage itself is constructed of corrugated acrylic and the base is produced from sturdy acrylic, which may be filled with sand or water for even more stability. These heavy-duty sign supplies for outdoor usage are the ultimate outside exhibit that commands awareness with its modern design. Every side of the pavement springer signage has space for 7 lines of text. These sign supplies are also double-sided for more publicizing power. 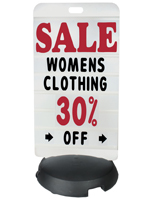 Our sign supplies are an inexpensive, moveable and a quickly assembled piece of merchandise. Compose your outside sign utilizing letters, numbers, symbols and headers. Once you've set up your letter boards utilizing the provided letters, numbers, and symbols merely slide the signage onto the aluminum posts and you're ready to attract a crowd! 1 - Set of (22) 8" red jumbo sign numbers which includes "%"
24.0" x 41.0" x 17.5"
24.0" x 5.0" x 18.0"